Before I start with the picture, there are quite a few oddities to report while I played. Firstly, I never got hurt by either enemies or pits. 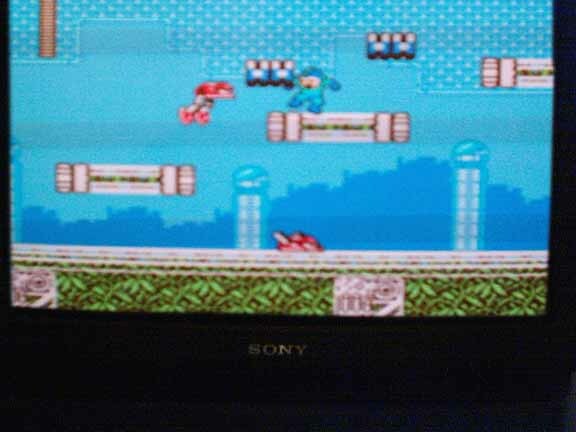 Also, all the Rushes were accessible right from the beginning of the game. A few of the enemies didn't work right (the bee enemy never dropped smaller bees and the hammer joes never shot their hammers at me). The master weapons and Rush also don't lose any energy. 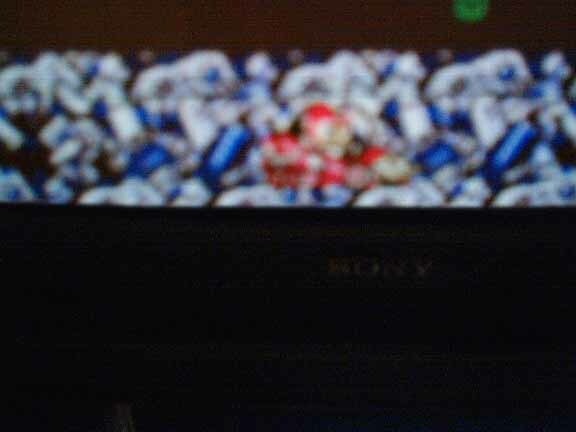 Other than that things were essentially the same (as game mechanics go anyway). Geminiman's level looks like it did in those screenshots Covell provided. There's no enemies at all, just one big FLAT area. Very unfinished. 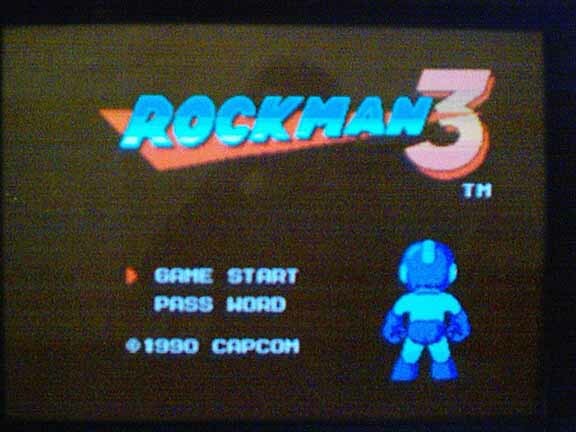 Protoman does change into Breakman though. And - yes - in the normal fights with him he does use those standing sprites! 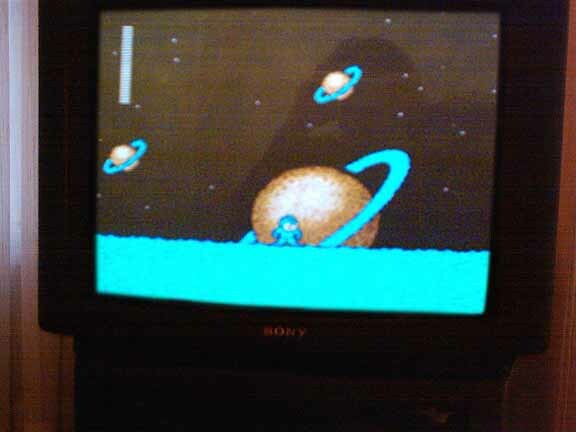 Once you get into the second part of the level it seems to be exactly the same as the final. Hardman's area is VERY different! 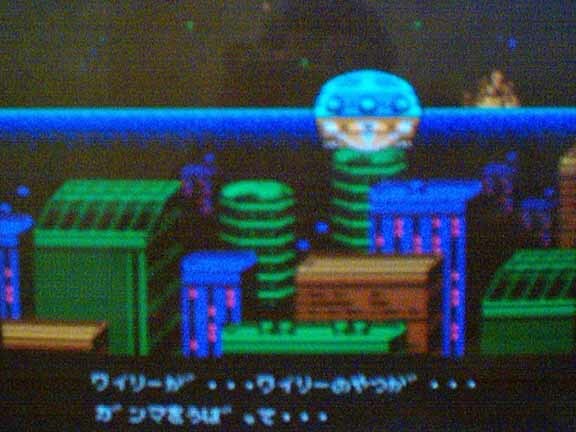 It looks like it does in Rockman World 2 strangely enough. 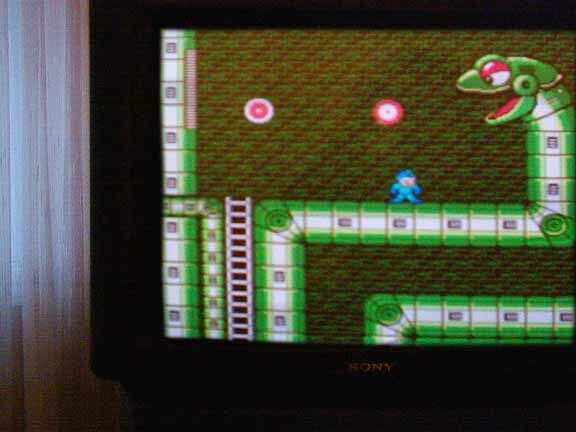 Maybe that's where they got those weird level ideas from - the betas of the Rockman games. It's also worth noting that you can't take any damage. All the Rushes are available from the start. You have high jump, and pits don't damage you. 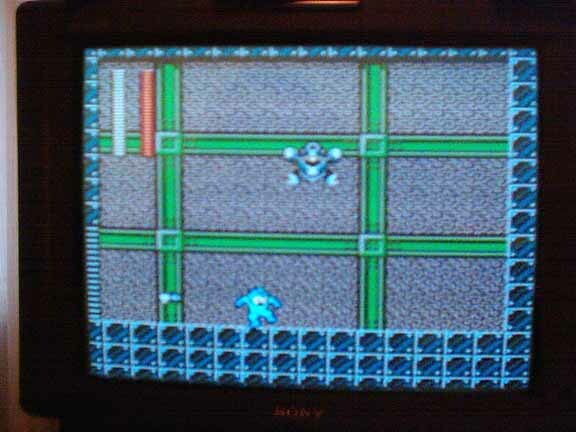 Behold the mechanical Snakeman's level! Topman's level is pretty neat. Same basic layout as the final, but a little more mundane. There's allot of flat areas. Here's a shot of Rush Drill! It can burrow through just one part of Sparkman's level that isn't in the final. I've tried other places, but it doesn't do anything. There's no specific enemies to fight though and it doesn't look like they did much with it. It looks real funny just tunneling in the ground. The master weapons don't lose power in the beta, so I can't help but wonder what would happen if the drill ran outta juice while stuck in the ground. 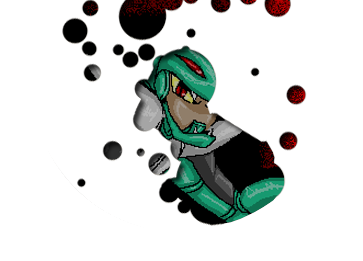 Likely, it'd mean Megaman's death! And here's Wily's introduction. 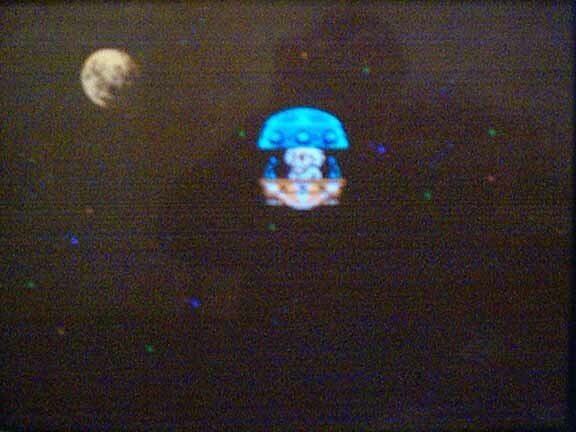 They used the Megaman 2 saucer. 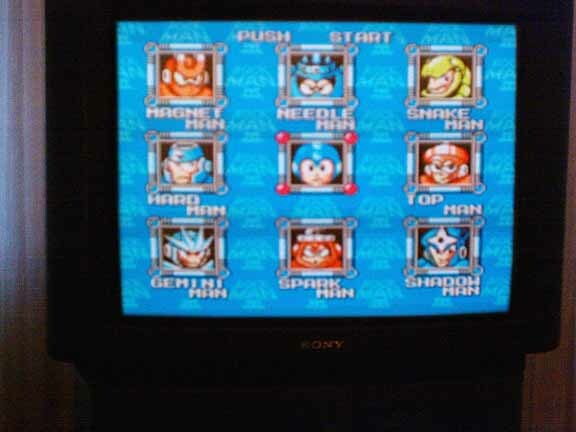 The words from Dr. Light lasts until that first screen, unlike the final. The music is the longer version too .... and they used the final's Skull Castle with no changes that I could see. 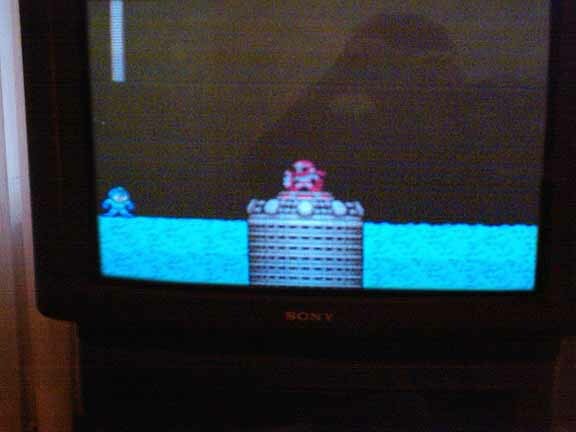 There were no Doc Robot levels nor was there any final battle with "Breakman". After you beat the eight levels the game resets. Bummer. Maybe one day someone can hack it and see what lies beyond those eight levels in this beta version of RM3. If anyone wants to lend me their rom-dumping expertise to dump this baby, e-mail me!